Written and Performed by Pat Kinevane. Silent is the touching and challenging story of homeless McGoldrig, who once had splendid things. But he has lost it all – including his mind. He now dives into the wonderful wounds of his past through the romantic world of Rudolph Valentino. 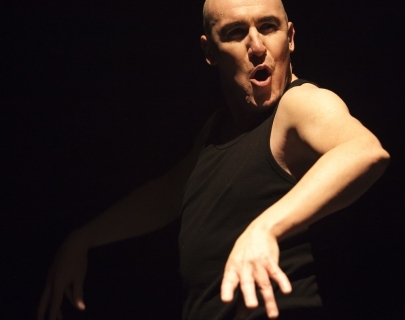 Pat Kinevane’s previous plays for Fishamble include The Nun’s Wood and The Plains of Enna. He has worked as an actor in theatre, film, radio and television for the past seventeen years. Credits include Black Day at Blackrock, A Mother’s Love’s A Blessing, King Arthur, Ballykissangel, I Keano and The Late Late Show Murder Mystery. Winner of the Olivier Award 2016 for Outstanding Achievement in an Affiliate Theatre!